Bitcoin and Litecoin are often referred to as the cyrptocurrency equivalence of the precious metals Gold and Silver, respectively. Recently we covered Bitcoin, today we’ll cover Litecoin. Unlike Bitcoin’s anonymous creator Litecoin was created by a former Google engineer Charles Lee, You can find him on Twitter here. It’s a good idea if you’re interested in Litecoin to follow “Satoshi Lite” (Charles’s Twitter handle) as he has his finger on the pulse when it comes to Litecoin news. Charles created Litecoin thanks to Bitcoin’s inspiration. Just like Bitcoin Litecoin’s code base is open source and no one individual has control over Litecoin’s development, including Charles Lee. This means the community as a whole have control, decentralised development. Litecoin has a number of benefits over Bitcoin, namely transactions are faster along with mining being faster. Litecoin also has a fixed supply at 84 Million. Merchants are jumping at the opportunity to accept Litecoin worldwide, adoption is happening. 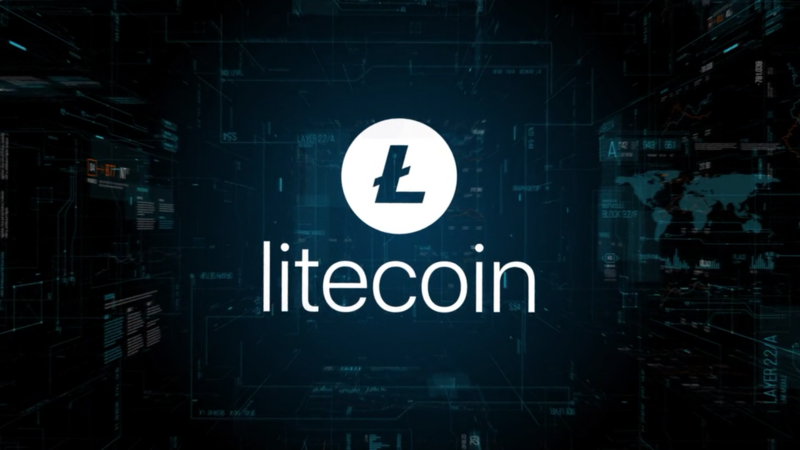 And recently the mobile device manufacturer HTC announced the first ever blockchain phone their HTC Exodus will be supporting Litecoin, and the Litecoin Lightning Network. Talk about a popped bubble, since it’s top at $374 we’ve deflated in price back to last years price range, this is GOOD. Typically, if an asset is in a bubble when it pops they usually drop anywhere between -70% -90% in price, Litecoin is sitting at an almighty -87%. You’ll notice a number of trendlines that, at the beginning of the chart, acted as resistance then the price breaches the resistance in turn the trendline now acts as support, moving forward they acted as support turned resistance. I’ve pointed out the first trend line has, historically speaking, acted as strong support. 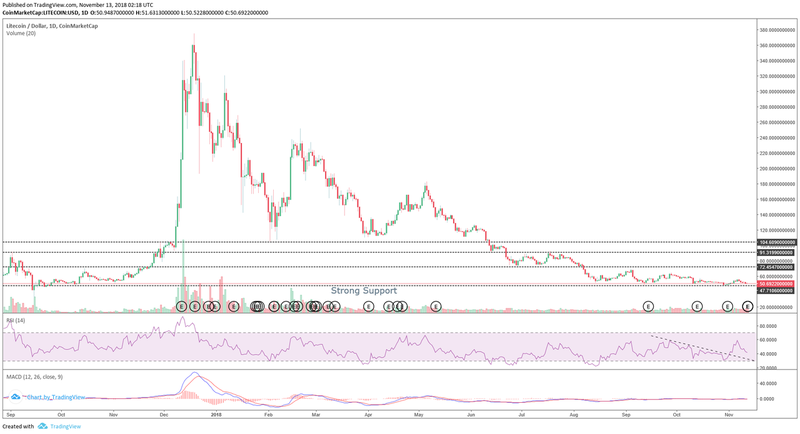 This can be confirmed by looking at the beginning of the chart where the price was held above this support and also at the end of the chart right up to today it has maintained it’s strength in supporting the price. Despite this trendlines strength it remains to be seen whether it can continue to hold as the strength of the bounces are diminishing. Moving onto the RSI there have been a large number of trading opportunities, you’ll notice I’ve drawn a trendline at the end and once the trendline was breached the price has moved upwards. This has happened a number of times, can you notice them? If not take the time to familiarise yourself with the pattern and the price movements.